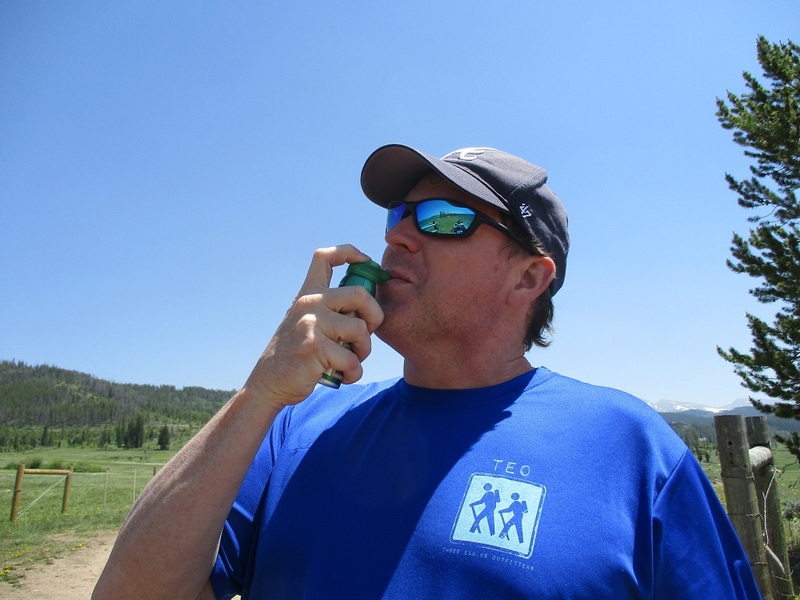 Hitting the bottled oxygen at 9000 feet near Devils Thumb in Colorado. Not quite the boost I expected. Tough to go from 1K to 9K feet in 24 hours.